Hello Blank Page Muse fans. 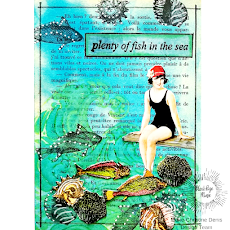 Gail here today with some ideas on combining two stamps to give a different look to your image. This month the team is exploring things with wings so I decided to add some wings to Phoebe Art Doll and make myself an angel. I started by dripping various alcohol inks on a piece of photo paper. I added blending solution and some more colours. 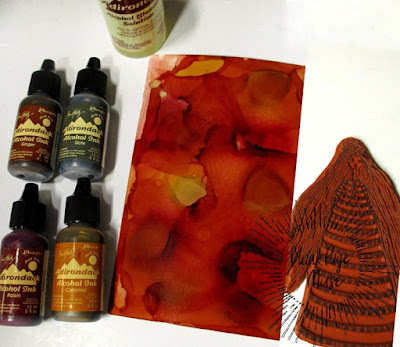 I'm not so good with alcohol inks, so that's about as technical as it gets here today. Just wanted something bright and pretty. Then I stamped Phoebe Art Doll with black archival ink and fussy cut. 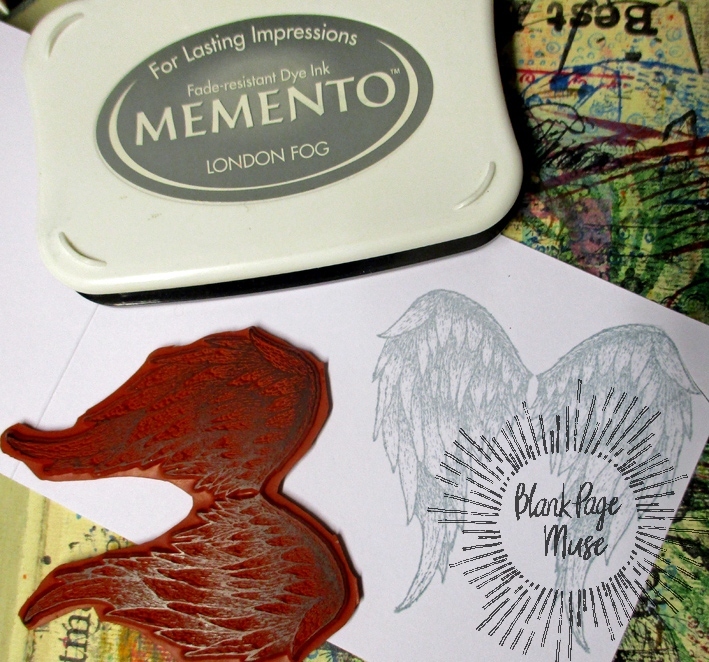 I stamped Angel Feathered Wings with Memento London Fog ink on white card and fussy cut. I stamped Phoebe Art Doll with black archival ink on my card base and used part of the alcohol ink image to mask her face and hair and hands. 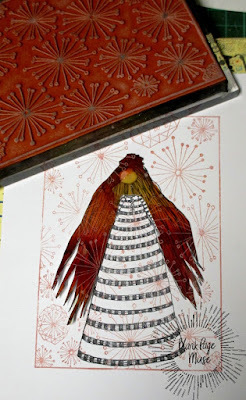 I stamped the Dandelion Bursts Background with Pink Petunia Versamark chalk ink and removed the mask. 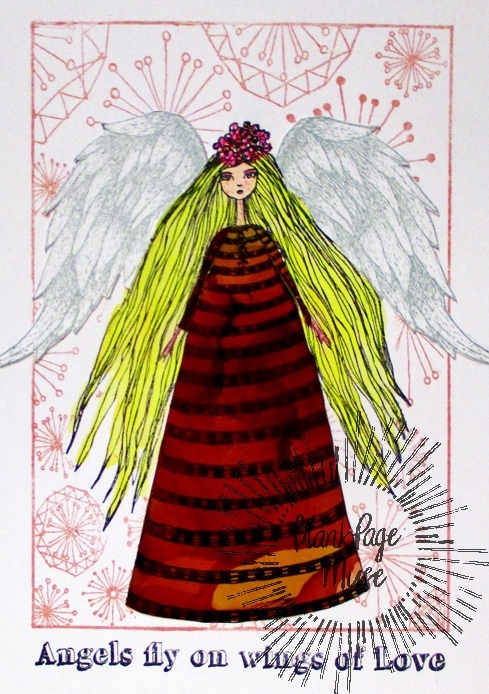 I coloured her hair and face with distress inks and used gel pens to colour the flowers in her hair. I cut along her hair line and slipped the wings behind. 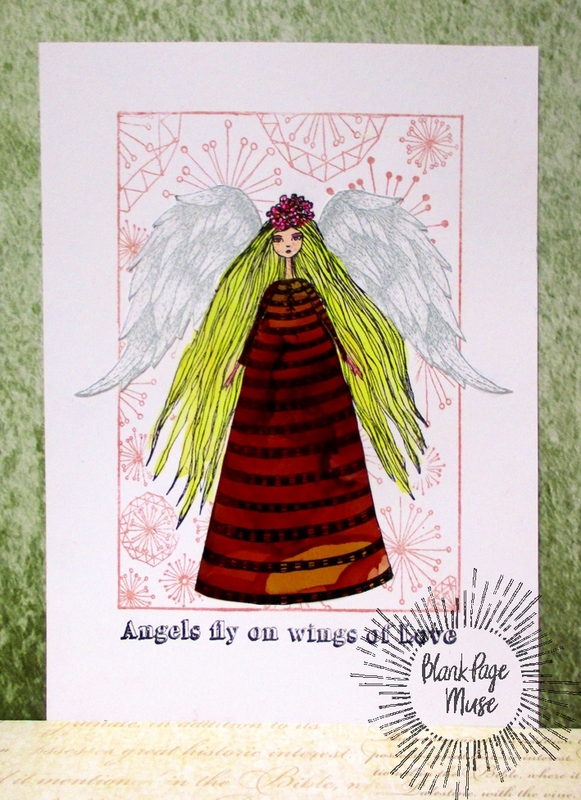 I added the alcohol ink dress and stamped the Angels Fly on Wings of Love sentiment. Isn't that a beautiful font on that lovely sentiment!! This is a cool stamp! I love how you layer your stamping images. I need to start tying this more often. I think I will get some creativity out in my journal! I love how you added wings to Phoebe, so wonderful! 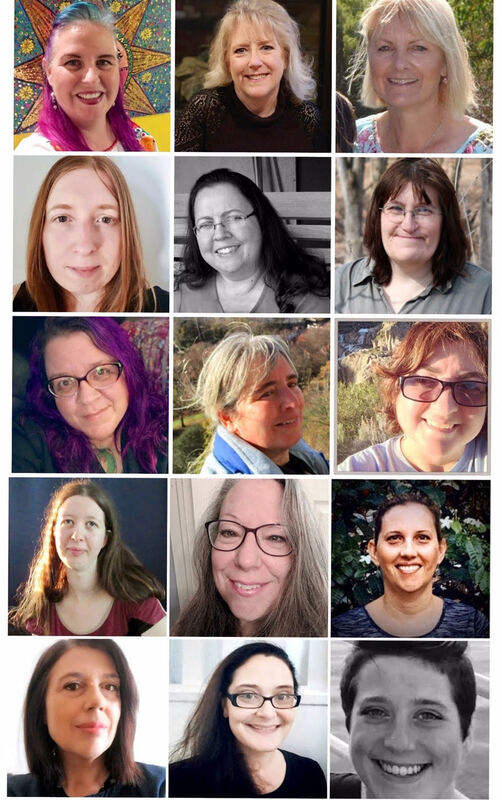 Really creative and so inspiring!